Bayern Munich accused the media of “disrespect” and of breaking the German constitution with recent criticism in an extraordinary news conference. 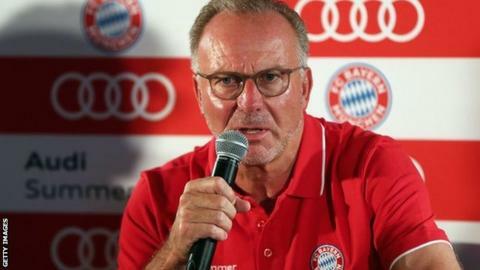 After manager Niko Kovac had spoken, chairman Karl-Heinz Rummenigge and president Uli Hoeness came forward. 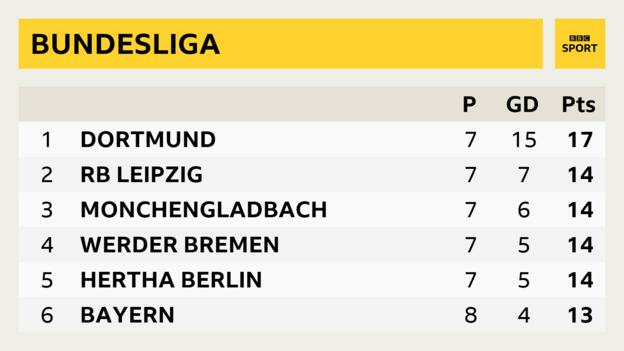 Champions for the past six seasons, Bayern are sixth in the Bundesliga and without a win in four games. “It’s about time the biggest club in Germany takes a clear stance on this issue,” said Hoeness. “We will no longer accept this recent kind of media coverage,” added Rummenigge, who also threatened possible legal action should criticism continue. What is going wrong at Bayern and Real Madrid? Kovac took charge in the summer and won his first four games. But having taken last season’s title by 21 points, Bayern are now on a four-match winless streak, including a 3-0 home defeat by Borussia Monchengladbach just before the international break. Many Bayern players have found themselves criticised in the media in recent weeks – both for performances for Bayern and for Germany, who are on a run of six defeats in 10 games. “We met on Monday after Germany’s international match against the Netherlands and have decided we will no longer accept this style of journalism,” said Rummenigge. “What we have had to read in recent times has nothing to do with performance, it was a settlement with individual players. Today we will protect our players, our coaches and also the club. “Today is an important day as we inform you that we will no longer tolerate this derogatory and derisive reporting. “I have no words for what I have read about Manuel Neuer. I would like to remind you that Manuel was world goalkeeper of the year four times. Rummenigge has also been annoyed in recent weeks by the criticism of wingers Franck Ribery and Arjen Robben, who have also been called ‘too old’. “These men have helped over the last decade to make Bayern one of the most successful clubs in football,” he added. Can anyone stop Surrey? And what’s new in the County Championship this year?